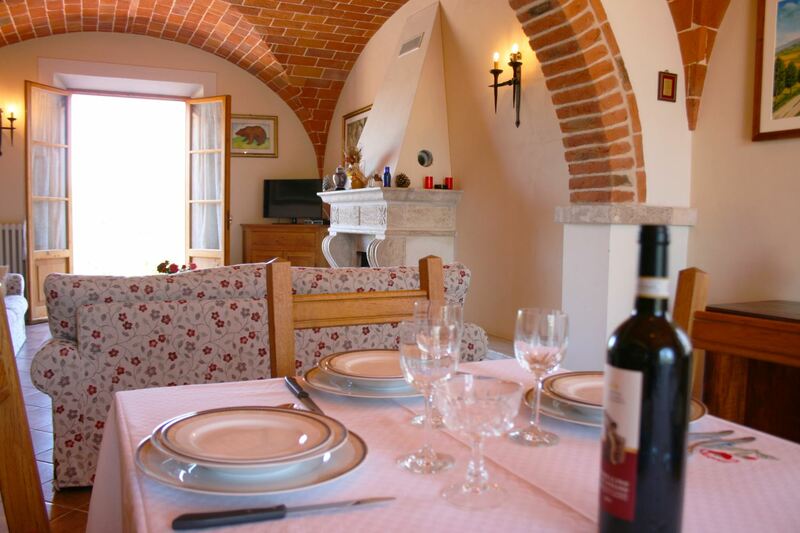 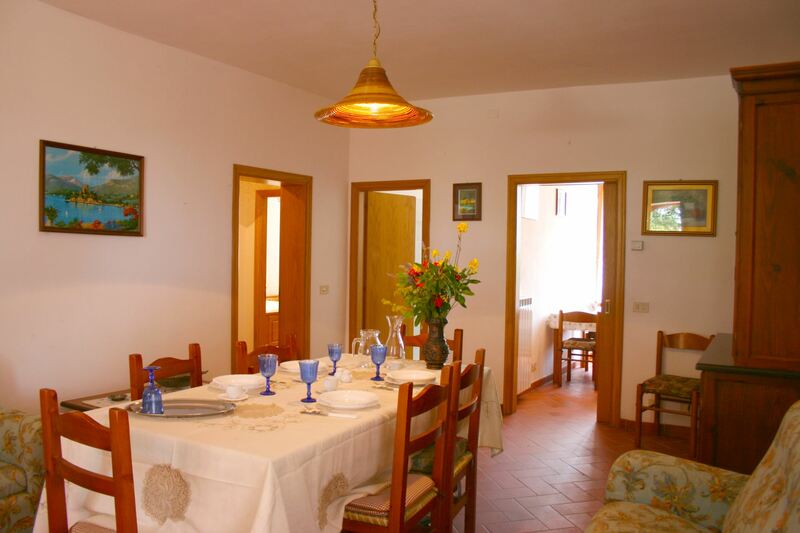 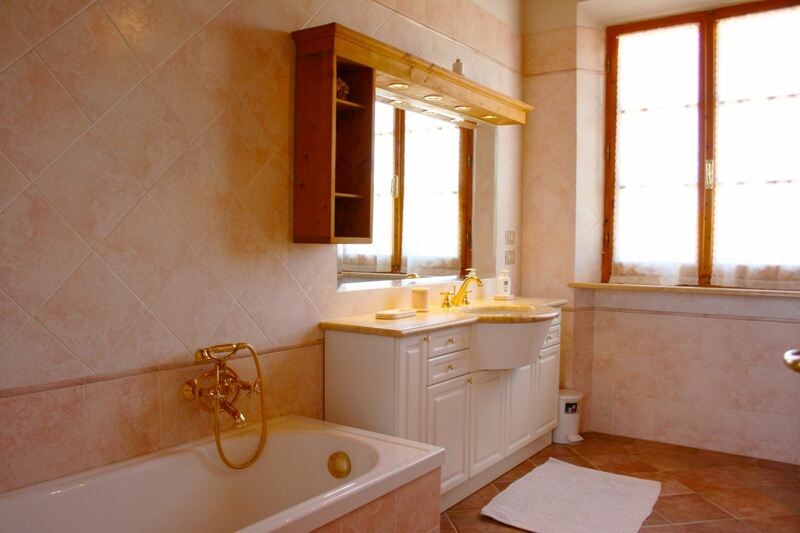 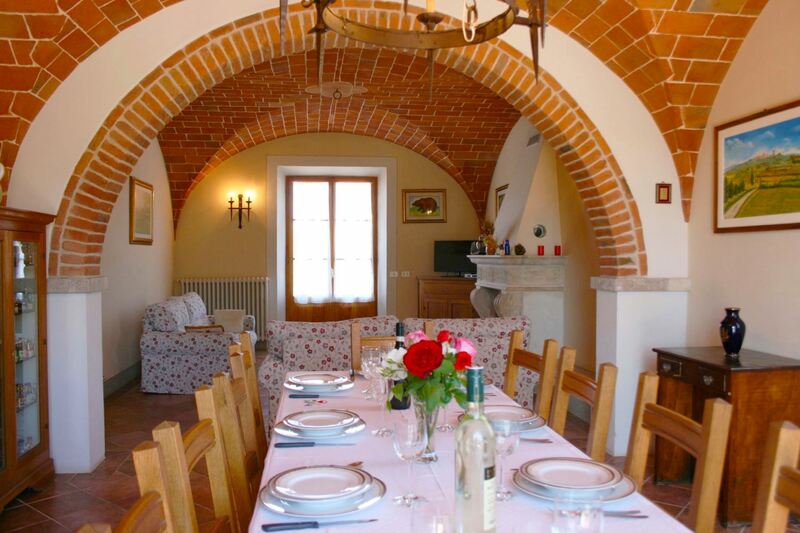 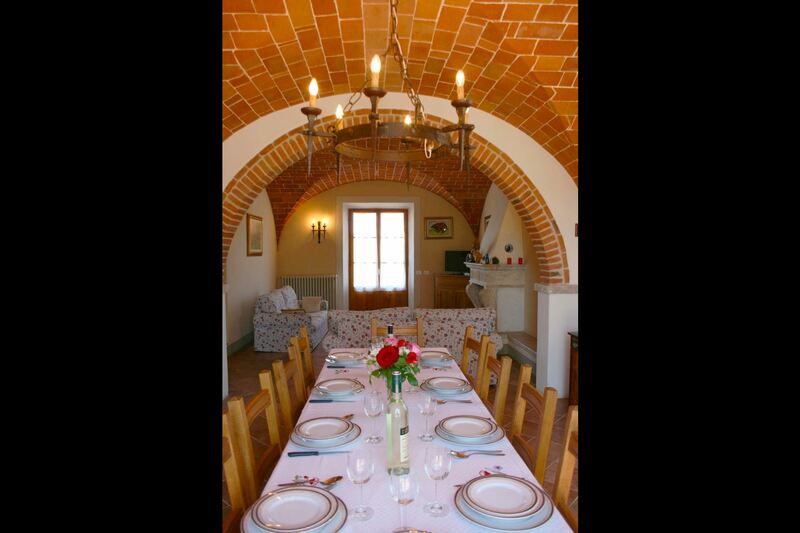 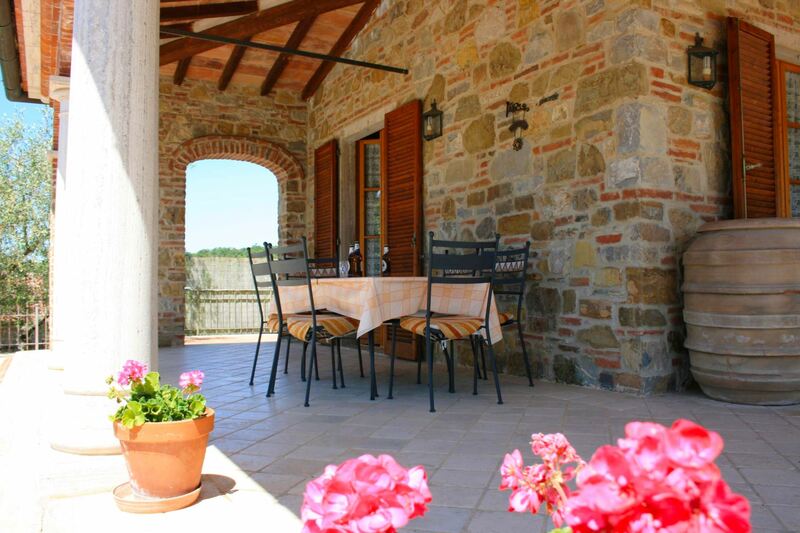 Villa with private pool nearby Lucignano for 8 persons, 3 bedrooms and 3 bathrooms. 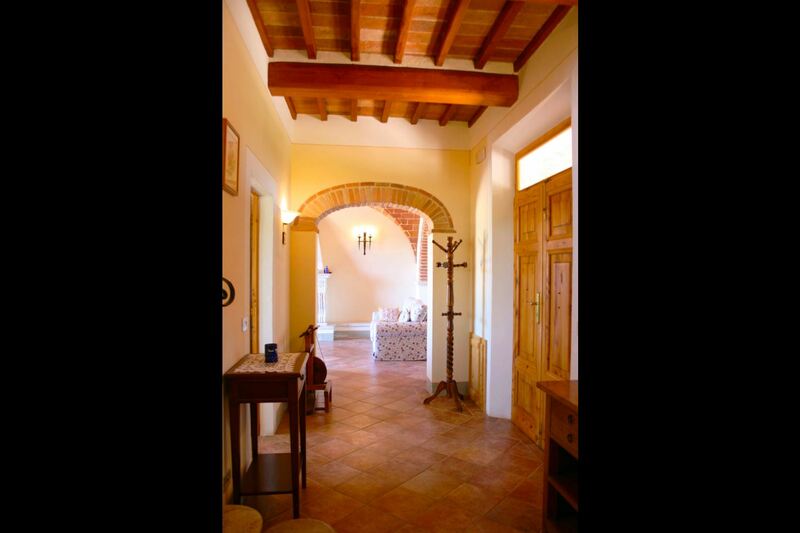 Panoramic view and free Wi-Fi access. 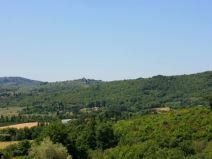 Lucignano and southern Tuscany. 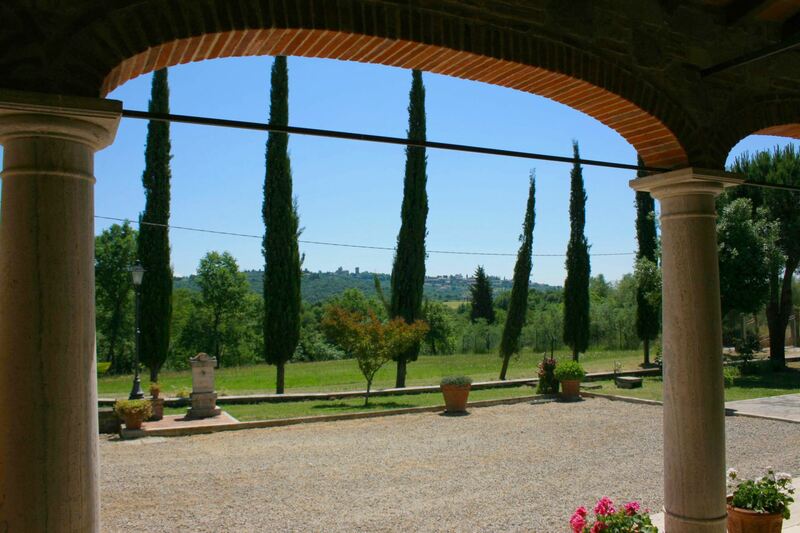 Villa Fosca lies on the slopes of one of the hills which face the Sienese Valdichiana and gently descend towards the valley. 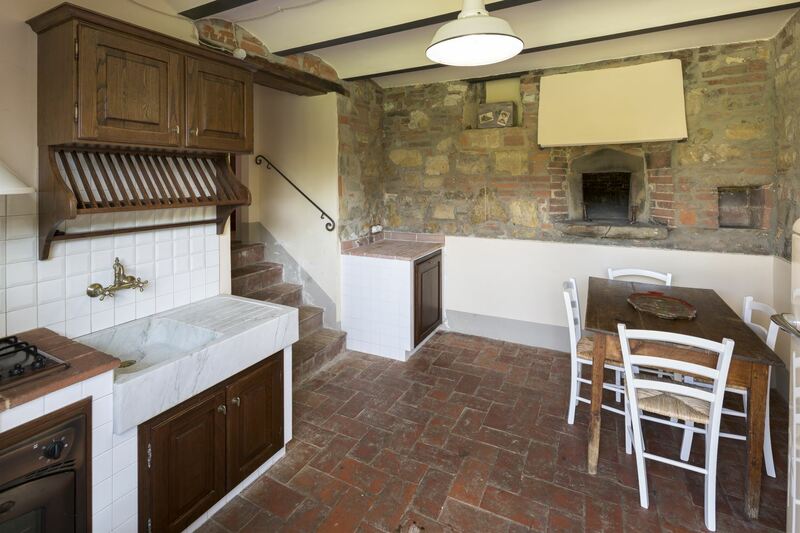 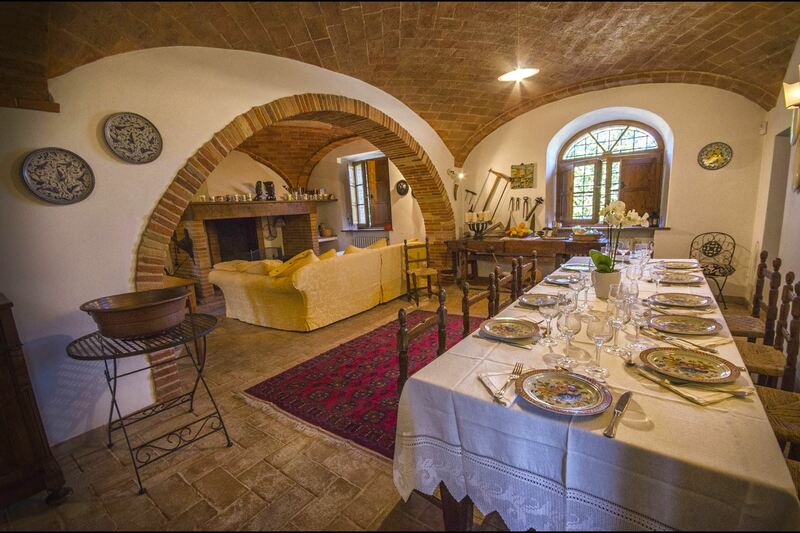 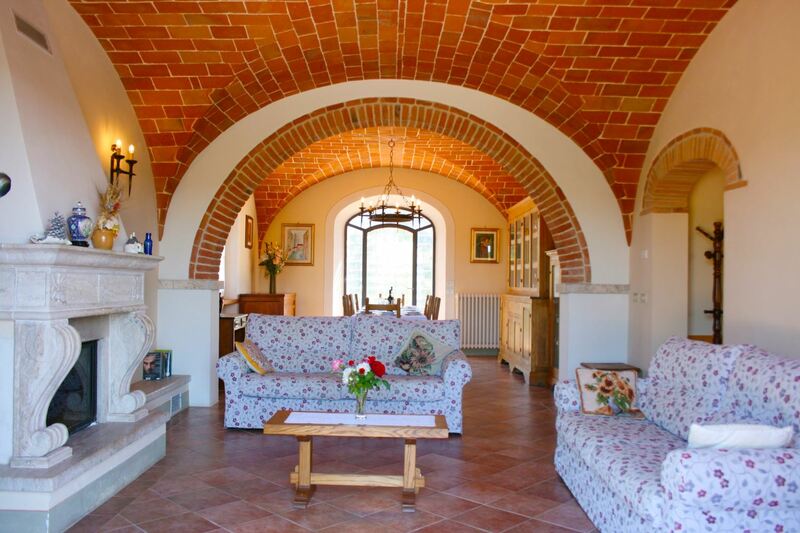 This beautiful house, carefully restored, is set in a panoramic and quiet position, very close to Lucignano, a village in Southern Tuscany which represents one of the most extraordinary examples of medieval town-planning. 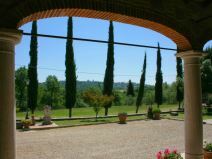 Its fortunate geographic setting in a dominant position in the Valdichiana between Siena and Arezzo has made it strategically important through the centuries. 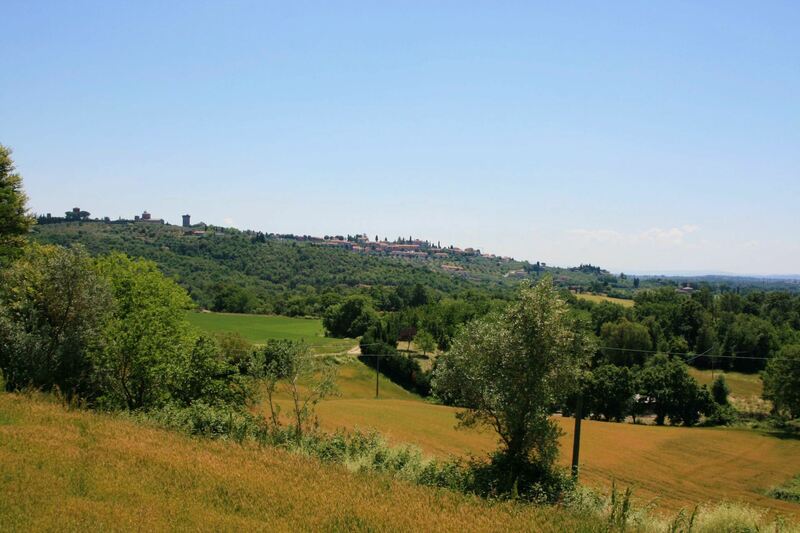 It was a medieval castle fiercely contested by surrounding territories. 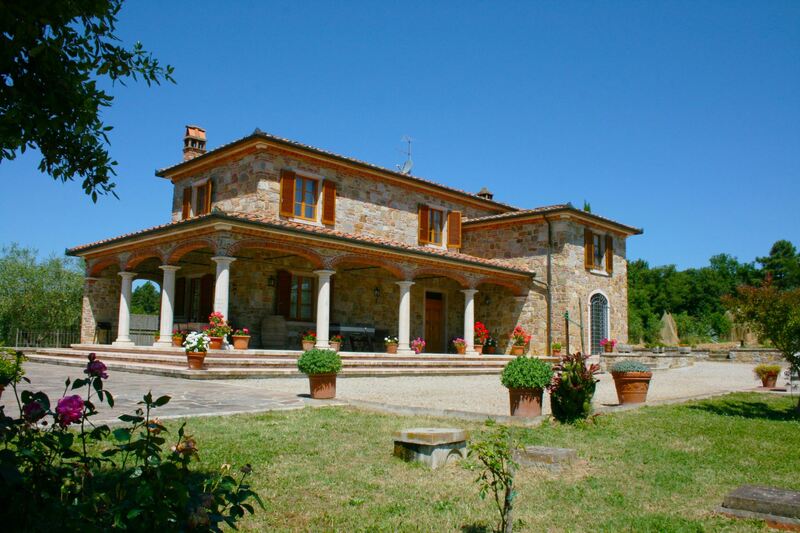 Beautiful villa immersed in the countryside. 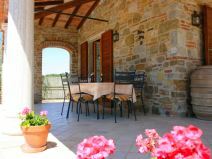 This beautiful villa is immersed in typical Tuscan countryside amongst cultivated fields, vineyards, olive groves and woods. 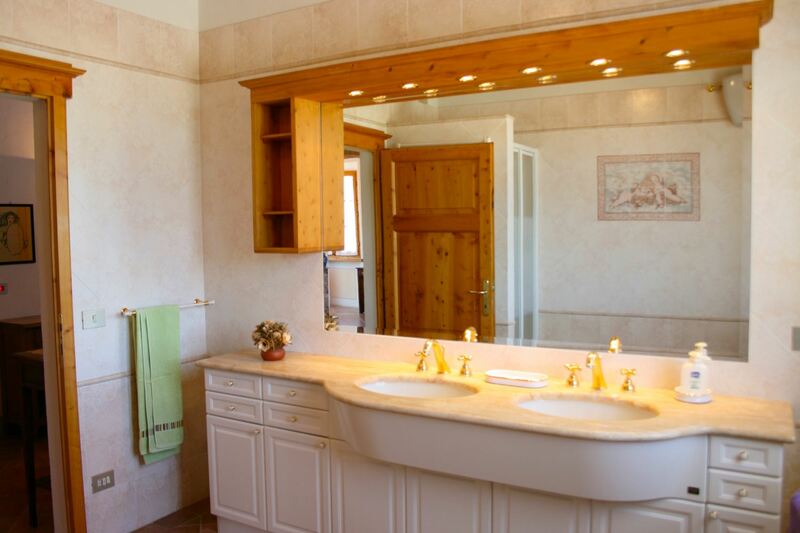 Furnishing is comfortable and of good standard. 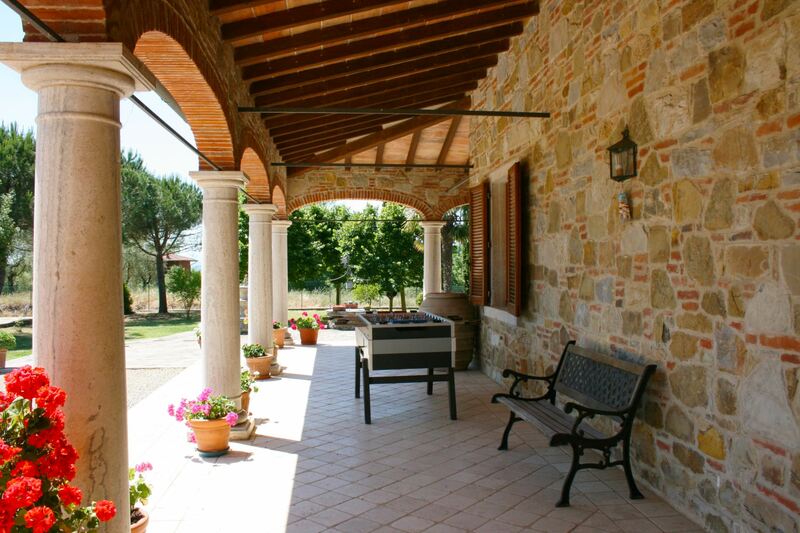 All around it there is a large, fenced outside space with garden furniture and barbecue. 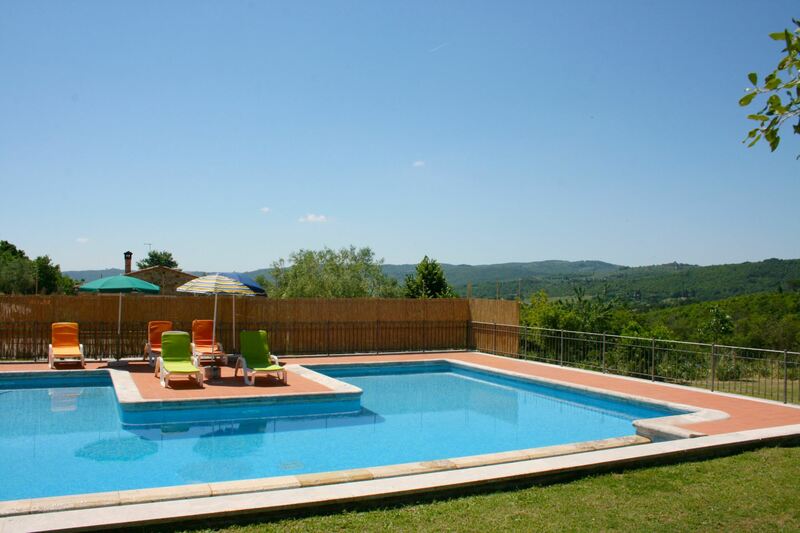 Behind the house, in a sunny and panoramic position there is a 6 x 12 m. pool (depth 0,90-1,60 m.), for the exclusive use of guests. 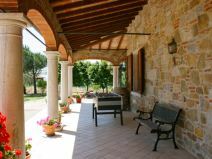 Close by the villa with independent entrance is the owner's house, who is completely at guests' disposal, should they require any assistance during their stay. 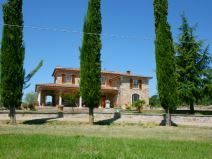 GROUND FLOOR: Large portico furnished with tables and chairs suitable for outdoor dining, kitchen/dining room with fireplace, bathroom with shower and large sitting/dining room with fire place and double sofa bed. 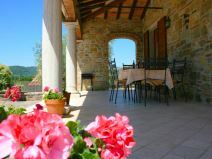 From the living room there is the access to the wide terrace in front of the pool. 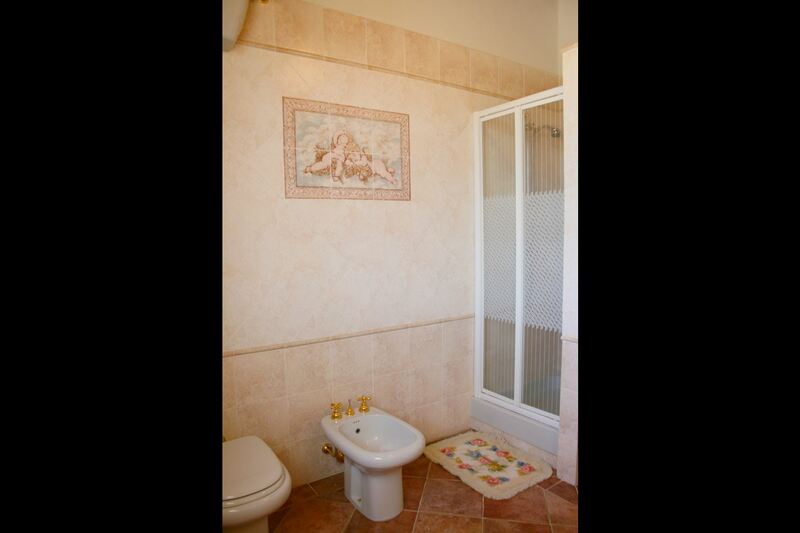 FIRST FLOOR: two double bedrooms, twin bedroom, bathroom with shower and bath, wc. 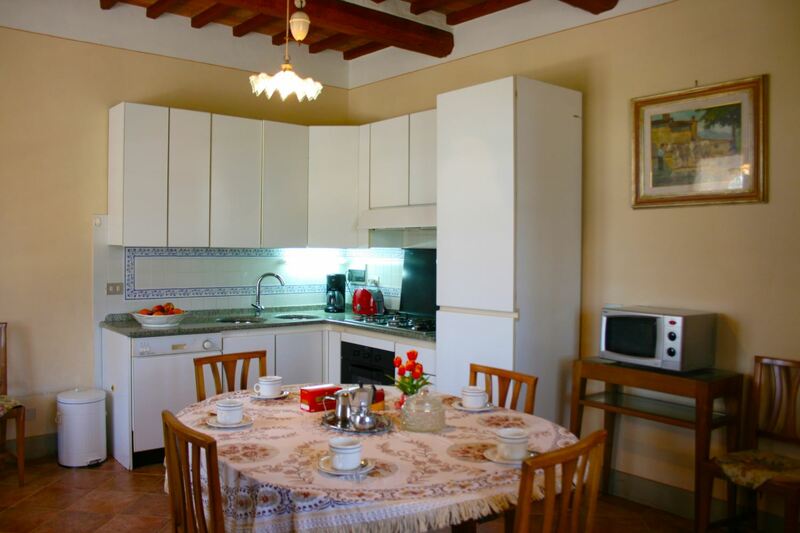 EQUIPMENT: freezer, washing machine, dishwasher, oven, iron and iron board, toaster, microwave, filter coffee maker, barbecue, Satellite TV, table-football, Wi-Fi Internet access. 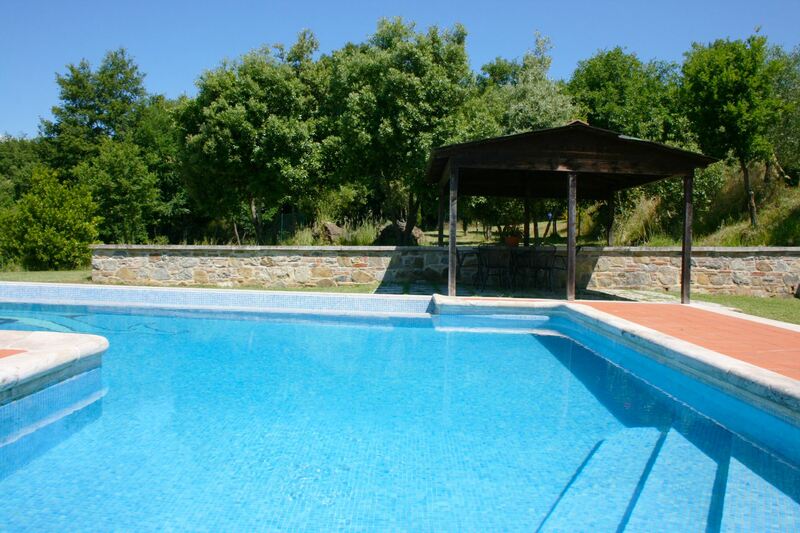 Private pool open from 04/05 to 12/10. 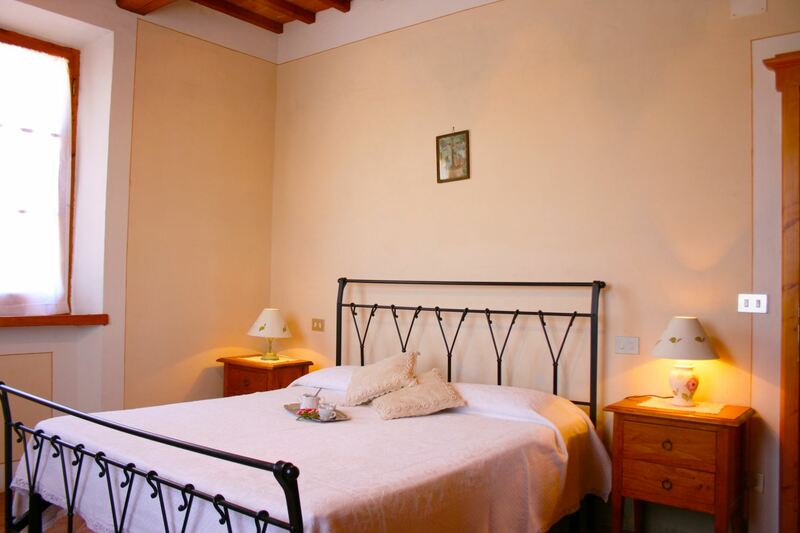 Baby bed available (for children up to 3 years) to require in advance. 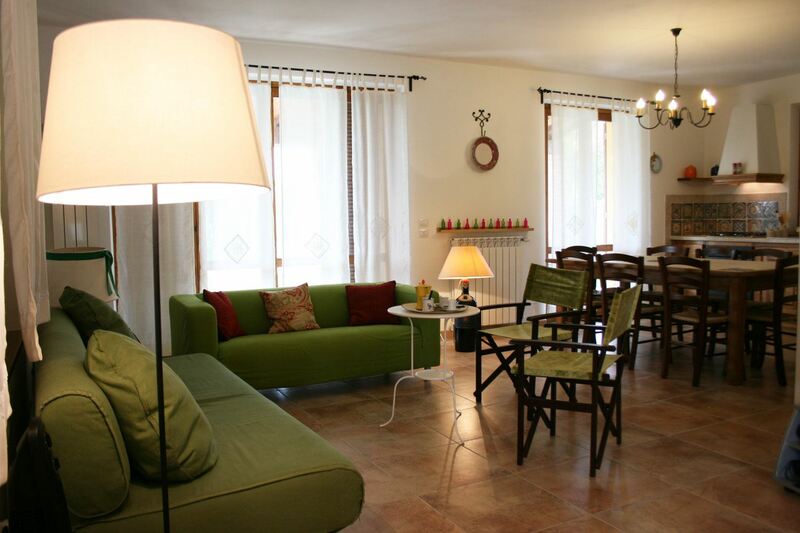 Breakage deposit Euro 200 (payable in cash at the arrival and held by the owner for the duration of your stay). 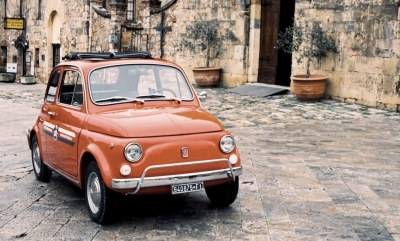 Obligatory final cleaning Euro 100. 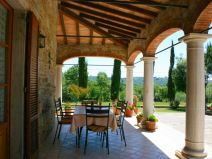 Truly as impressive as the pictures!!! 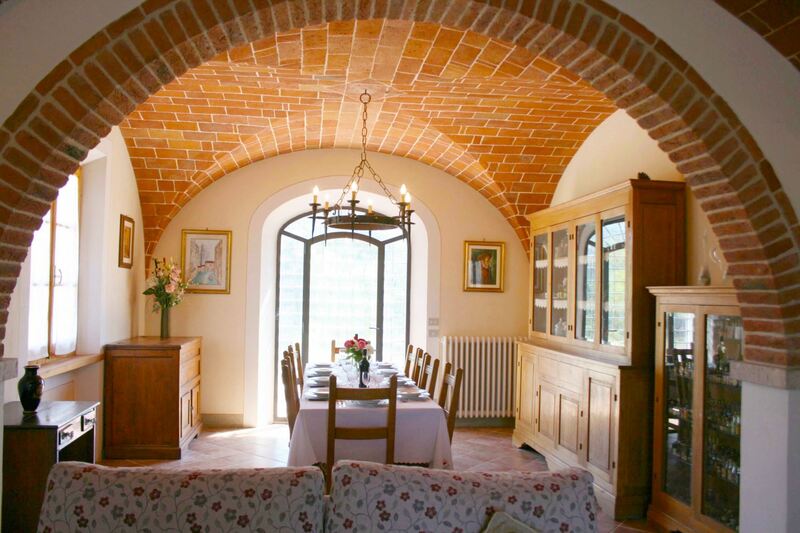 Wir waren nun ja schön des öfteren in dieser wunderschönen Villa und jedesmal ist es ein Gefühl des Angekommen sein. 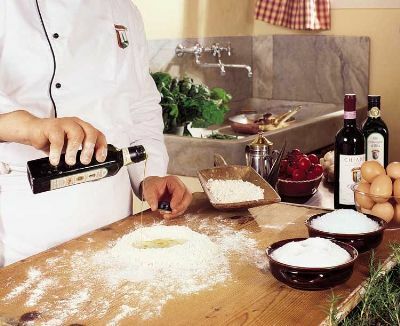 Eine tolle Zeit in toller Umgebung mit vielen freundlichen Menschen und das Gefühl zu haben Willkommen zu sein. 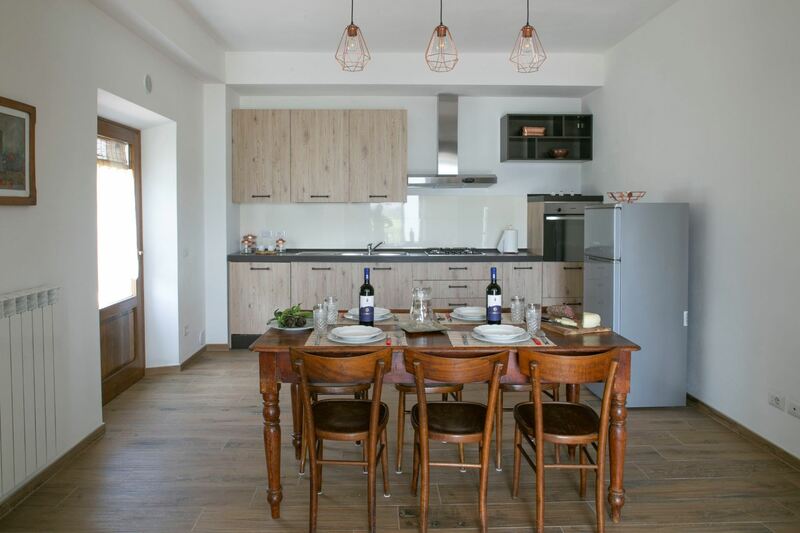 Wir können dieses Haus nur empfehlen, mit den lieben Besitzern nebenan, die immer sehr hilfsbereit und freundlich sind - Urlaub und Erholung pur !! 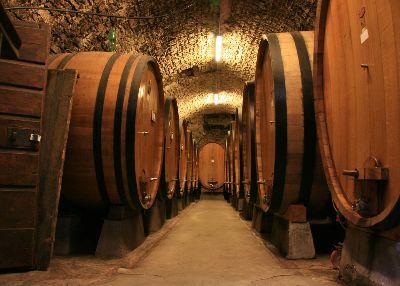 Vielen Dank für eine schöne und lustige Zeit !! 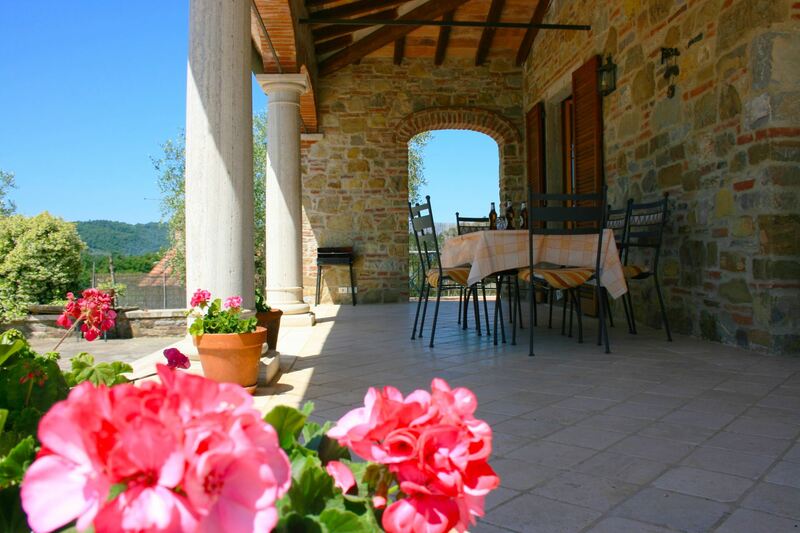 Villa fosca is a spacious, beautiful villa with a lovely pool. 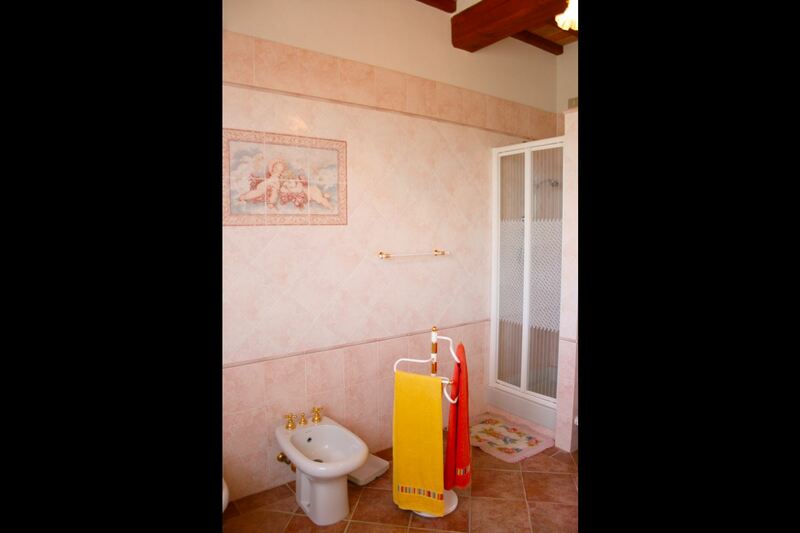 It comfortably sleeps 7+ cot. 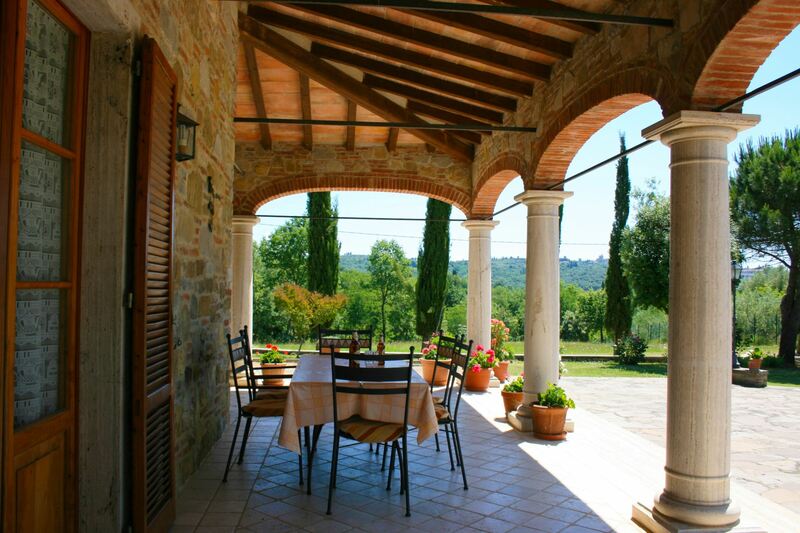 The canopy outside is perfect for evening meals with a view. 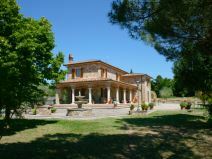 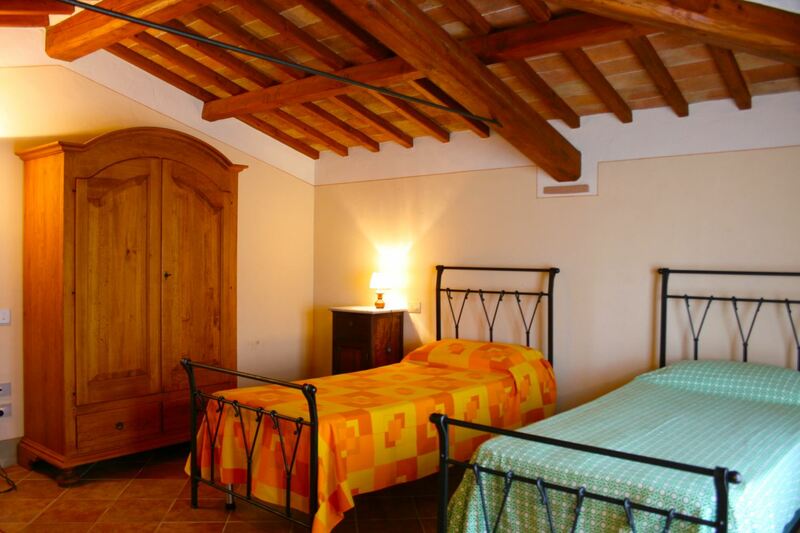 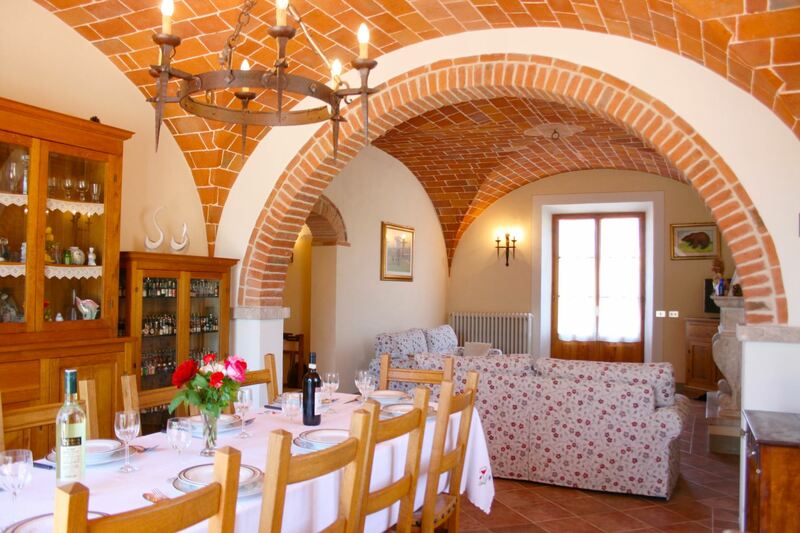 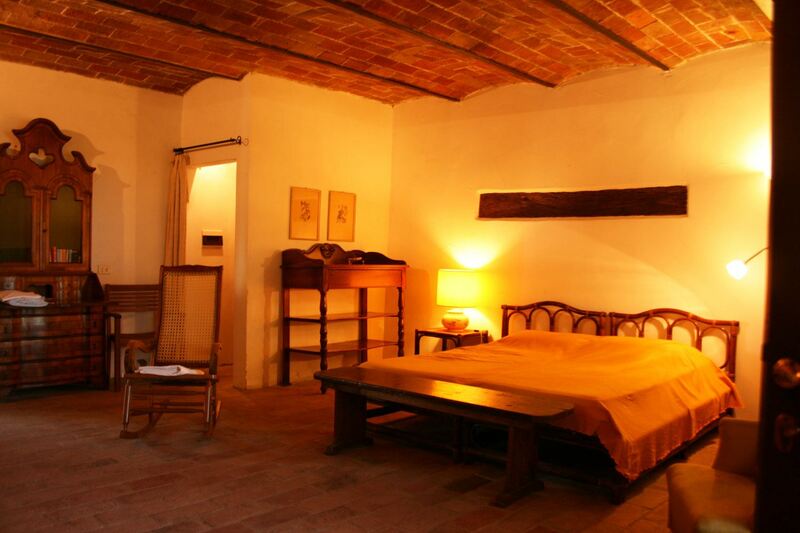 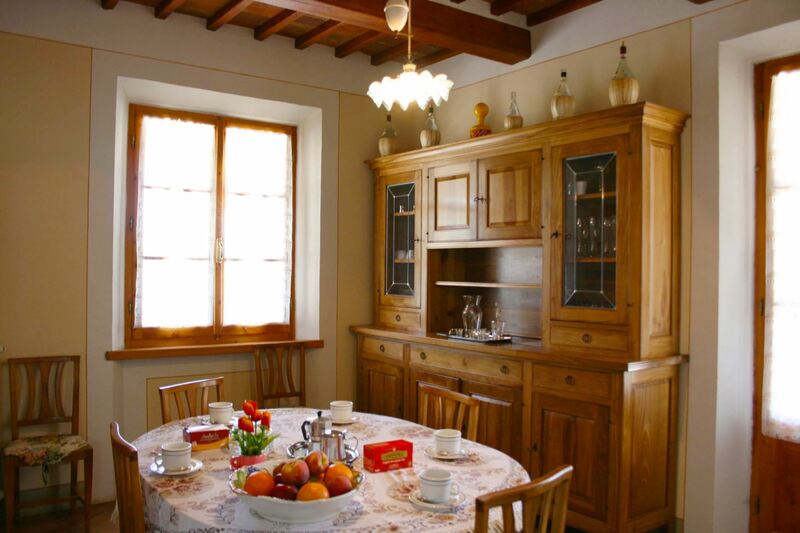 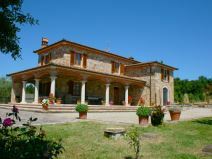 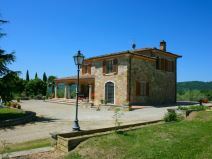 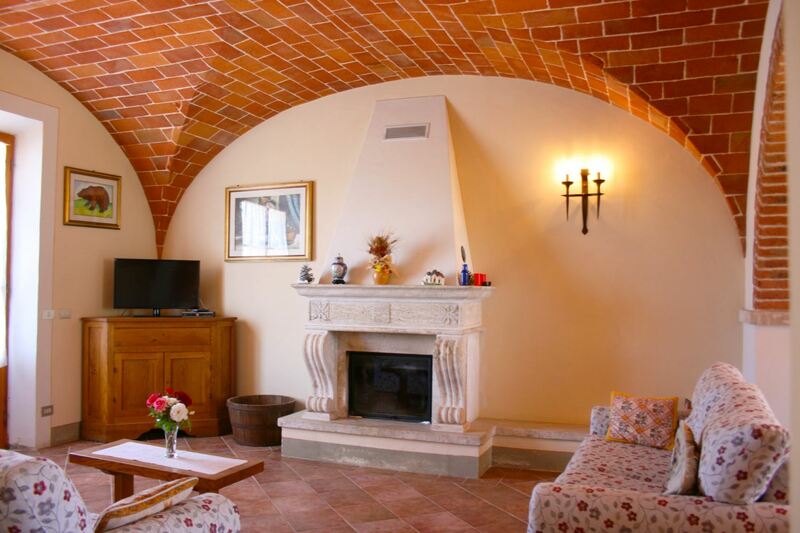 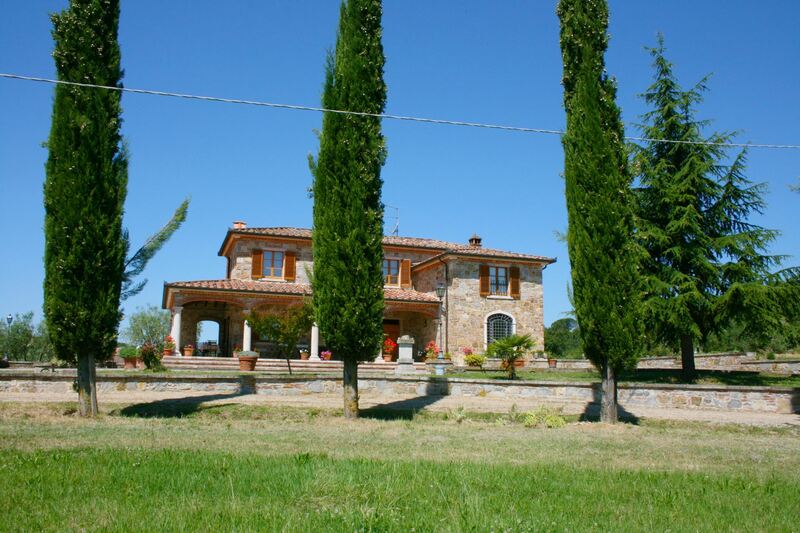 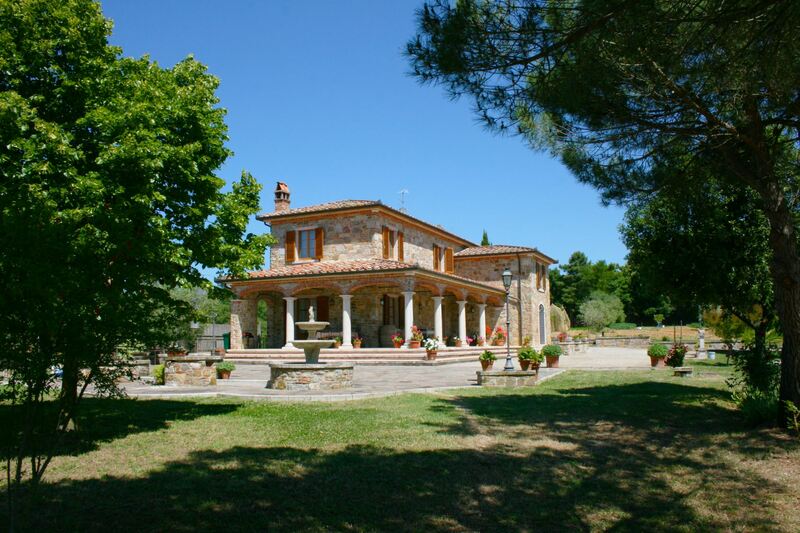 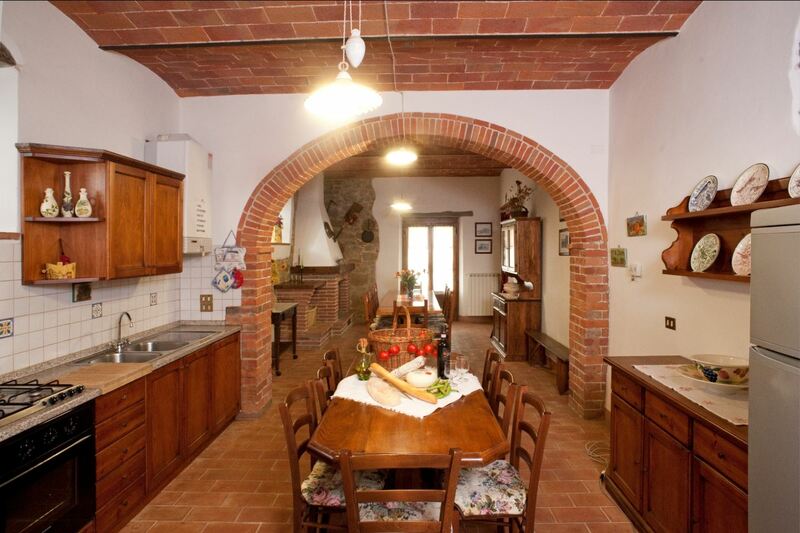 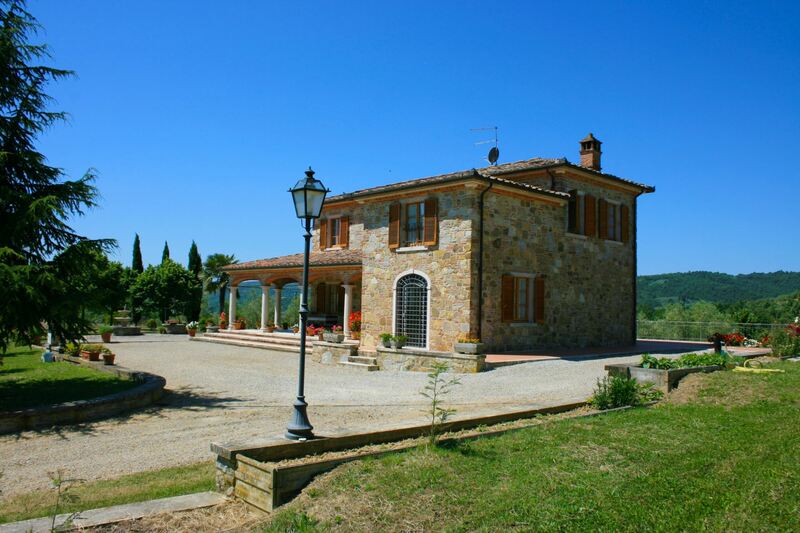 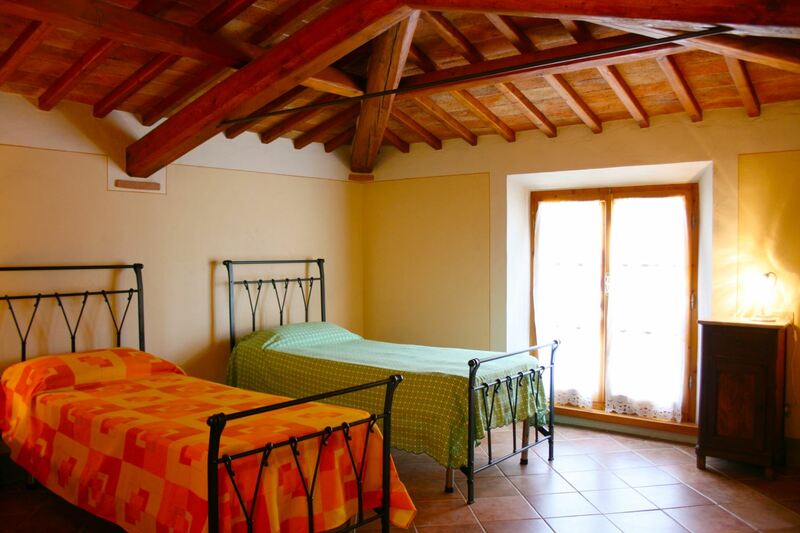 It is located near lucignano and us within easy reach of Siena, Arezzo and cortona. 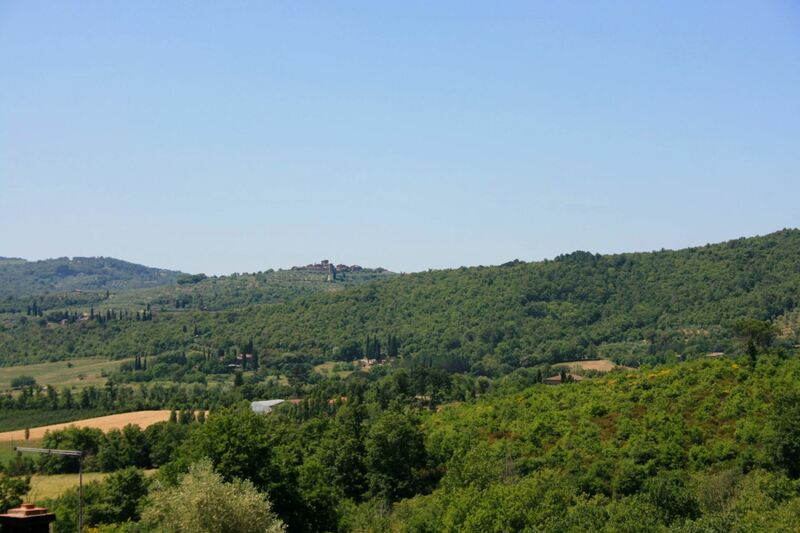 We drove from Rome airport and it took about 2 and half hours.